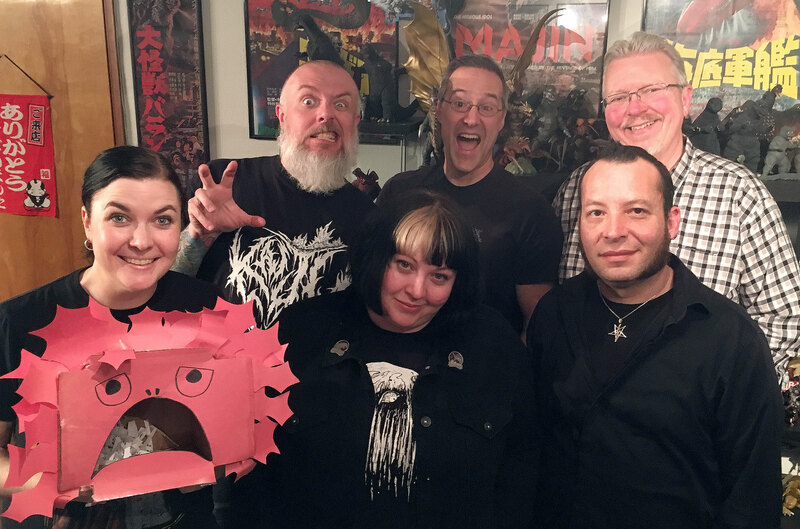 Kyle and special guest (and travel-mate) David Dopko recap the first half of their trip to Japan in this recorded-on-the-road episode! Hey everyone, I wanted to make sure to get an episode recorded, despite having a blast in Japan right now. 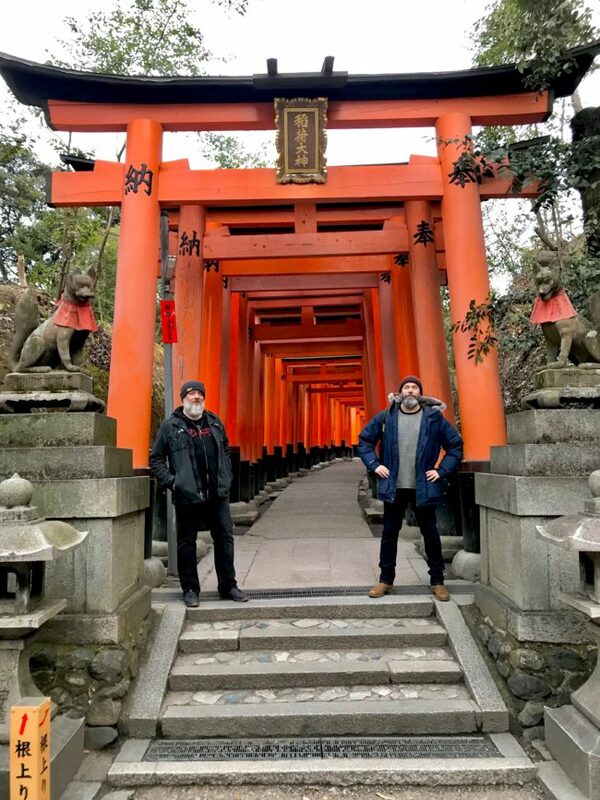 You see, I’m traveling with fellow Japanophile and kaiju fan David Eric Dopko and we wanted to share some of the awesome adventures that we’re having and and awesome stuff we’re seeing with you. We’re going to do another one of these before I leave, I think. 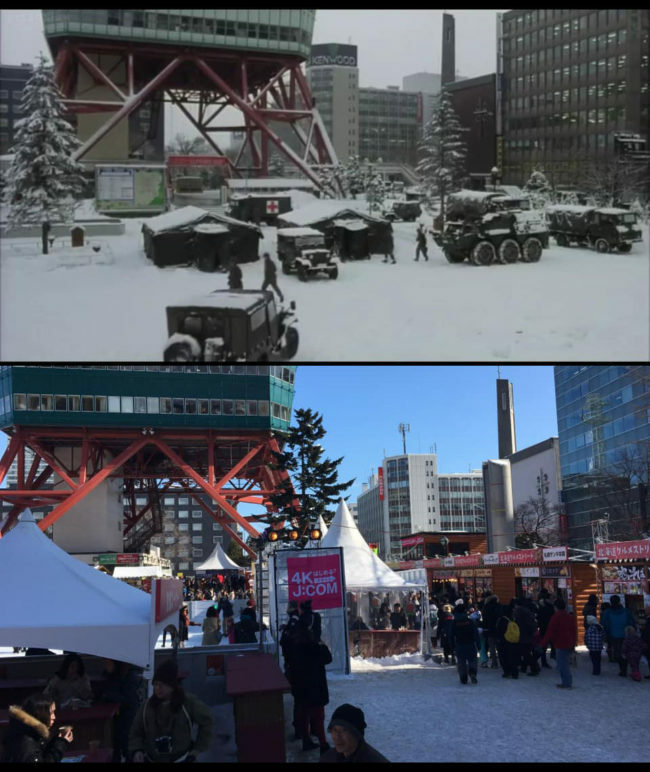 The JSDF was not occupying the base of the Sapporo TV Tower during our visit. 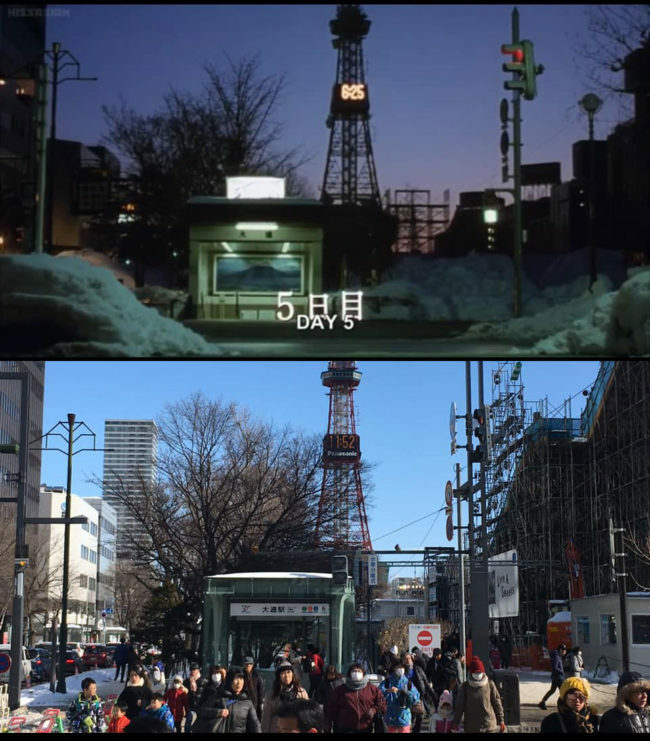 The entrance to the station has changed but we’re pretty sure this is the same location. 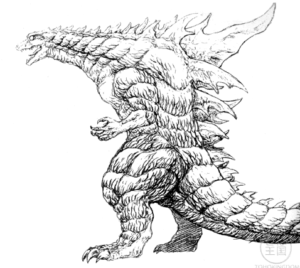 Yes, we are back with another Daikaiju Discussion, but don’t get too excited yet — it’s for the third anime film. 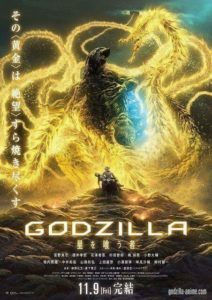 Yes, we’ll be watching Godzilla: The Planet Eater this month (once I’m back from Japan). I forgot to mention it in the episode but the deadline for sending in your homework is February 21st, so if you’d like to be included in this episode’s homework, please submit your thoughts, questions and reviews before then. And if you wanted to know who performed the song at the end of the episode, Ikusa, that would be the band Wagakki. 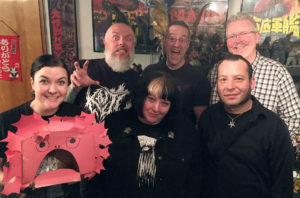 Gretchen and Kyle discuss the DNA of Tokusatsu Exhibit happening now in Tokyo, and follow that discussion up with a long overdue amount of news coverage. 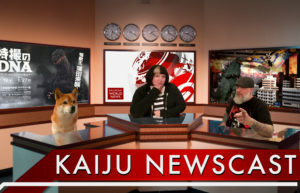 We here at the Kaijucast all hope you had a nice holiday break and a happy new year celebration! I just returned from Japan and sat down with Gretchen to chat about the recent exhibit that opened in Tokyo, the DNA of Tokusatsu. 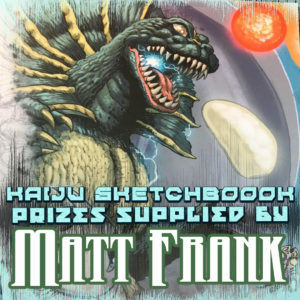 The exhibit was absolutely amazing and I’ve uploaded a gallery to the Kaijucast Facebook page so you can see the awesomeness for yourself, if you’d like. 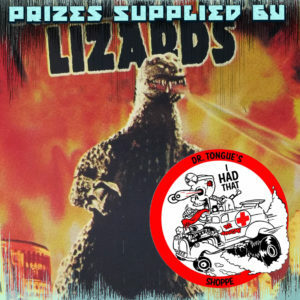 Make sure to stick around after the list of tracks played during this episode for a comprehensive list of links, as mentioned in this episode. Make sure to tune into our Emergency Broadcast next week! 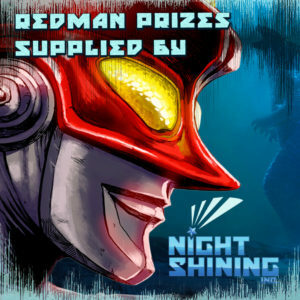 Redman Volume 2 out soon! We’re doing it again! 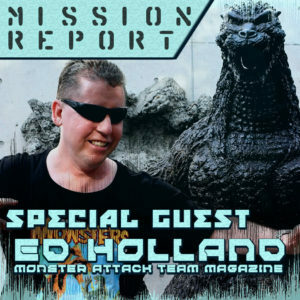 The 8th Annual Emergency Broadcast will take place in one week, on January 13th and we’ve revealed our first three guests: Matt Frank, Kevin Derendorf, and a special mission report from Monster Attack Team Magazine’s Ed Holland on his visit to the Tsuburaya museum. 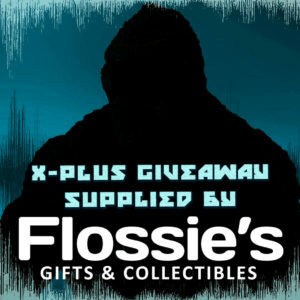 As usual, we’ll be broadcasting this episode live, with a chat room for the listeners to hang out in (and answer prize-pack winning trivia questions). All the details can be found here. 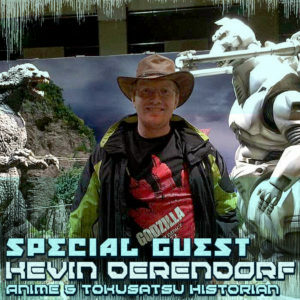 This episode is dedicated to the memory of Brent Young, a fellow kaiju enthusiast who was taken from us too soon. 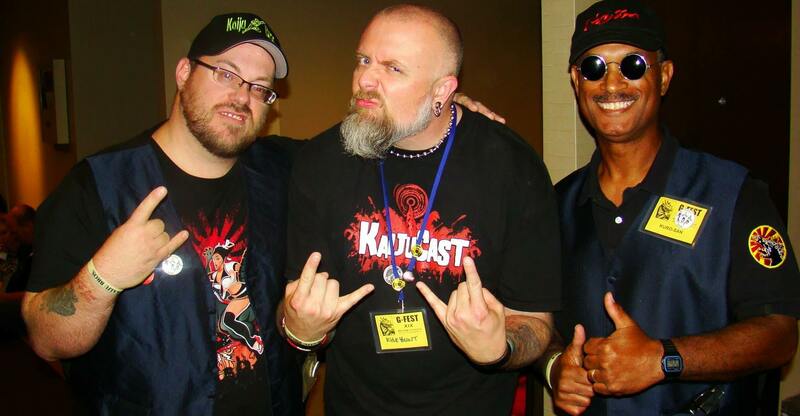 Listener Scott Martin and Kyle with the late, great Brent Young. You will be missed, my friend. 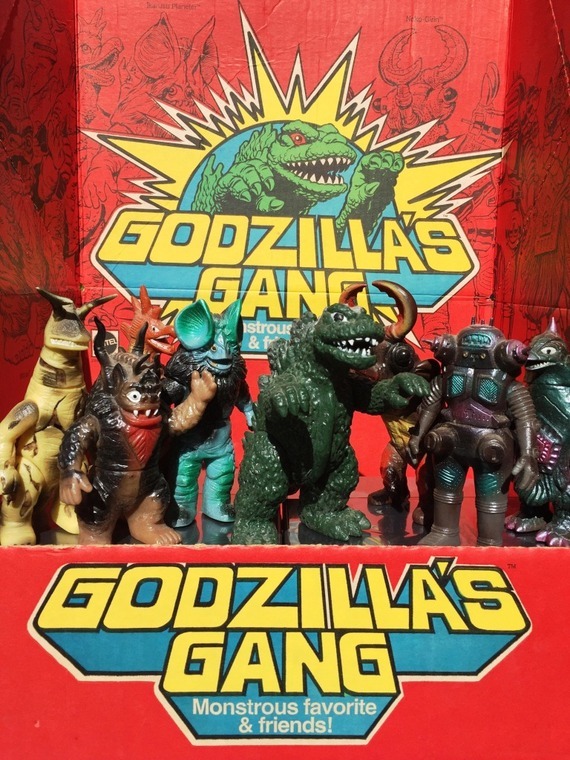 Shinji Nishikawa sits down with Kyle for a chat about his illustrious career in kaiju design. 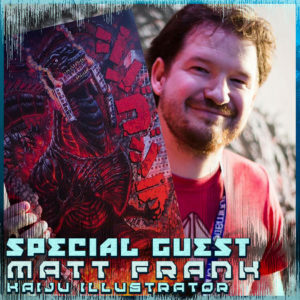 Just because I’m in Japan doesn’t mean I can’t post an all-new, super cool interview with one of the most prolific Godzilla artists in the industry. 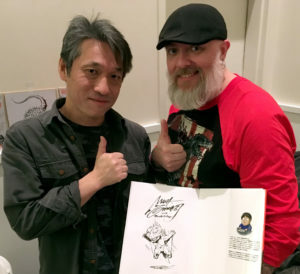 I’m referring, of course to Shinji Nishikawa, the man who created such iconic kaiju designs throughout the Heisei and Millennium series such as Biollante, Godzilla 1999, Baby Godzilla, Kiryu Mechagodzilla and so much more. Nishikawa-san was brought to Pasadena’s Monsterpalooza earlier this year and I was so happy to finally have the chance to sit down with him. I hope you enjoy listening to the interview as much as I enjoyed recording it! The Godzilla 2000 concept Nishikawa mentions in the episode. 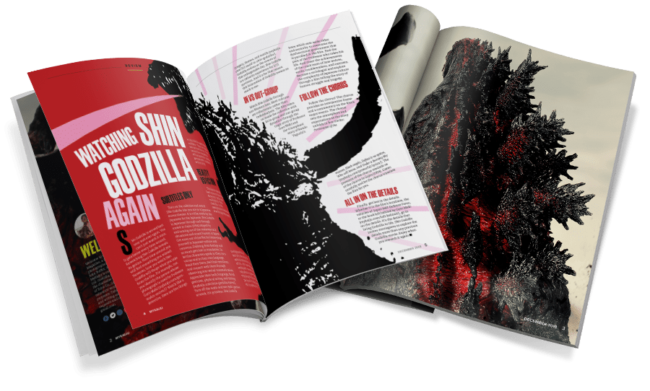 The insanely talented John Ruffin of MyKaiju.com has put together his debut fan-made kaiju magazine issue and it is stunning! Head over to to his etsy site to check it out yourself! 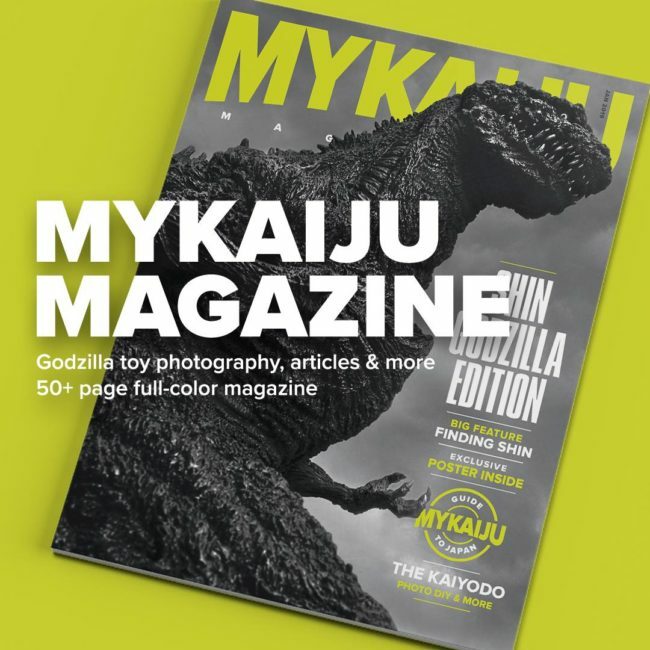 MyKaiju Magazine, is a 50+ full-color premium 8.5×11 fanzine for Godzilla toy photographers, fans and collectors. 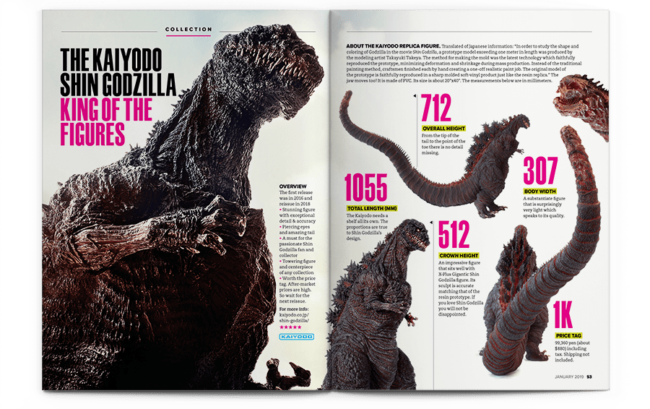 Each issue will feature Godzilla toy photography, posters, articles, artists, collectors, collectibles, and more. 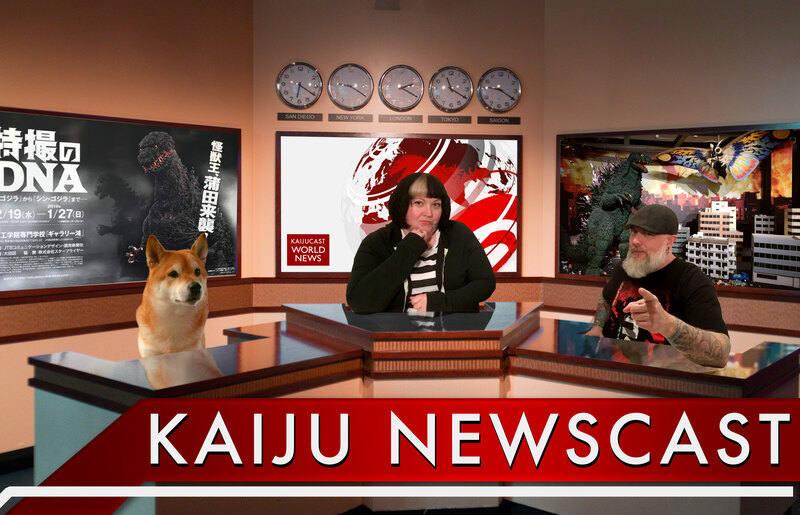 Kaijucast sends gigantic radioactive kudos to John for the wonderful job he did — truly he is doing Godzilla’s work!